We’re delighted with our 2013 Running Calendar, and the hugely positive feedback we’ve been getting from runners and race organisers who’ve bought them. 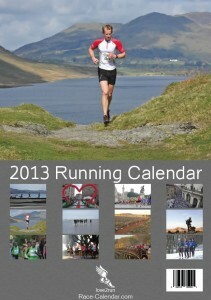 We’re really pleased that the 2013 Running Calendar will make a great Christmas gift for runners, and that it will help runners just like us to stay motivated not just for the first few weeks of 2013, but right through the year, encouraging us all to train and race next year, wherever we are! In the past week, we’ve also updated our Race Notifications system, which means that runners across the globe are able to Subscribe to Race-Calendar.com and receive an update every Friday with a run-down of new events which meet their criteria. This means you don’t have to keep checking the site to stay up-to-date. Also we runners like looking through race listings on a Friday afternoon – it helps us to shake off the lethargy of the week, and prepare for a weekend of running! Very simply, as well as sending our race notifications, each week, we’ll be drawing from those users with complete details one lucky winner to be sent a free copy of our 2013 Running Calendar on us! Every Friday, from 2nd November to the end of 2012, we’ll draw a winner and send them a free copy of our 2013 Running Calendar! We’ll let each winner know by email and announce the winner each week on this News section and our Facebook page. There is a limit to one entry per email address. You may sign up two or more emails (for example a work and a home email) and this will increase your chances of success, though the address must be active (you must reply to our “you have won” email message in order to receive your prize!). 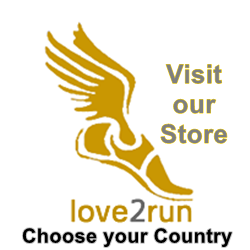 This competition is open to runners everywhere across the globe. You’ll need to remain an active subscriber to be in the draw, which is made of active subscribers at noon every Friday! Leave a comment below if you have any questions about this weekly prize draw competition! 1 comment to Competition / Give-Away Prize Draw! Subscribe to Race Notifications for Chance to Win Free Calendar Every Week!